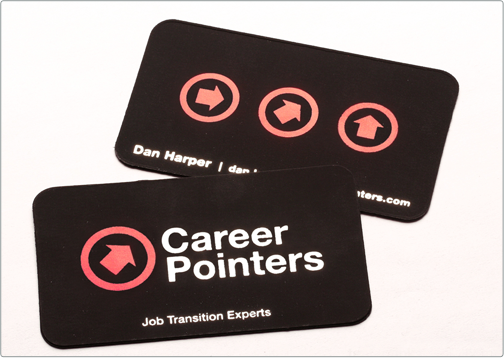 This Suede Business card was designed for Career Pointers with many of the bells and whistles that suede cards can offer. 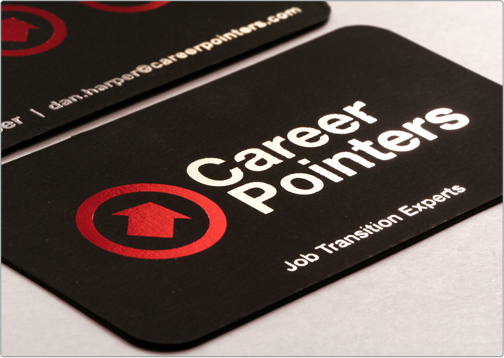 First, since the brand of the business card displays a circular logo, we designed the card with rounded corners for a flowing and stylistic look. The client suggested for our team to use minimalist values with a flashy upgrade. 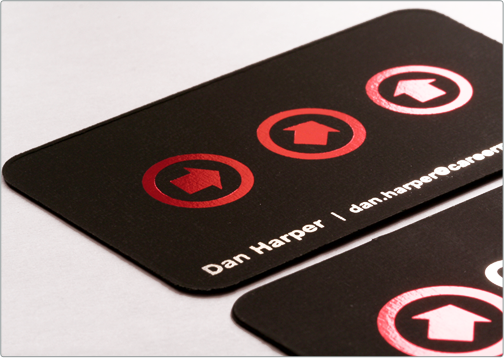 We highlighted the brand with decorative red foil that was pressed gently into the suede paper stock.